Using a top-load paper feed design similar to inkjet printers allows the compact Xerox WorkCentre XE60 to handle high-capacity printing of envelopes, transparencies, and labels, as well as being a legal-size copier. At a scant 23 pounds, the XE60’s design is unique among compact multi-functions. Adding an additional 8 inches to allow for the rear document feeder increases the total footprint of the XE60 to 18” wide by 25” deep. The control panel on the XE60 is straightforward, with indicators and keys for intuitive control and conditions of the copier. To isolate an error, locate an empty tray, or paper jam, the panel includes a diagram of the copier with LED indicators to indicate the area that requires attention. The XE60 uses a top-load paper tray design capable of holding up to 250 sheets paper, as well as multiple envelopes, transparencies, and labels. 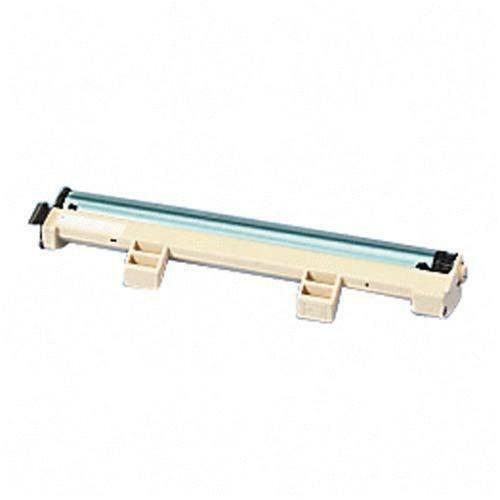 Media sizes can range from 3 7/8” x 5 7/8” to legal-size with bond weights varying from 14# to 34#. The front of the multi-function has a 50-sheet output port. To avoid jamming, you might want to avoid the thinner cheaper copier papers and use 20-pound bond weight copy papers. Up to 50 one-sided copies can be made of a single-sided original on the 8.5” x 14” glass platen, copying at speeds of 6 pages per minute. Copies can be adjusted from 50% to 200% of the original, in 1% increments or in six jumps. Copy quality can be set either manually, automatically, or by adjustment of contrast, text or photo priority. The Toner Save feature is best used for draft copies and not for any copies or prints you intend to distribute. There’s nothing more frustrating than when you rush to a copier to make a single copy only to realize you’re getting 25 enlarged copies because the previous user forgot to reset the settings (also known as “Leaving the toilet seat up”). Fortunately, Xerox realized this and the XE60 will reset all setting to it programmed defaults after one minute of inactivity. As a printer, the XE60 connects to your Wintel machine through a parallel cable. Having a maximum resolution of 600 x 600 dpi, the XE60 prints decent monochrome text and graphics at 8ppm. B&W photos will not have the same details found with other printers having higher resolutions than the XE. The XE series has some of the noisiest sound levels for a desktop multi-function. At 66dB, it’s louder than normal conversation levels, and can be a distraction if connected to a computer on your desk. Even for 1998, the XE60 is slow. Printing speeds are 8 pages per minute, and unlike the XC and XD series, the XE60 has an even slower copy speed at 6ppm. It’s hard to justify keeping this vintage 2-in-1 when there are faster, cheaper multi-function lasers on the market today. 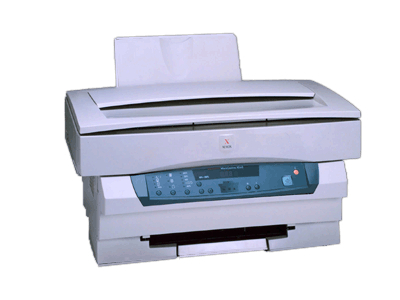 To use the printer portion of the XE60 requires having a computer with a parallel port. Since parallel ports are becoming rare as more motherboard manufacturers have switched to replacing this port with a couple of USB ports, most AMD/Intel computers won’t be able to connect to an XE model without using a USB-to-Parallel adapter, an additional $25 expense with software that can allow Macs to use the XE as well. 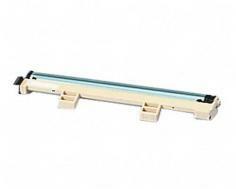 Review it: "Xerox WorkCentre XE60 "
The toner and drum are separate items to cut down on replacement costs. The front panel of the XE60 flips down to access the toner and drum assemblies. It does take a little finesse to remove and reinsert the toner and drum. 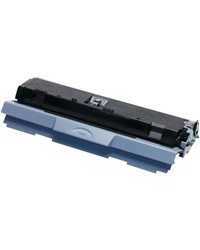 The toner has a 3,000-page yield with 5% ink coverage. The drum will need replacing after every six toner changes or every 18,000 copies.